operation, depending on the pressure of the cartridge. 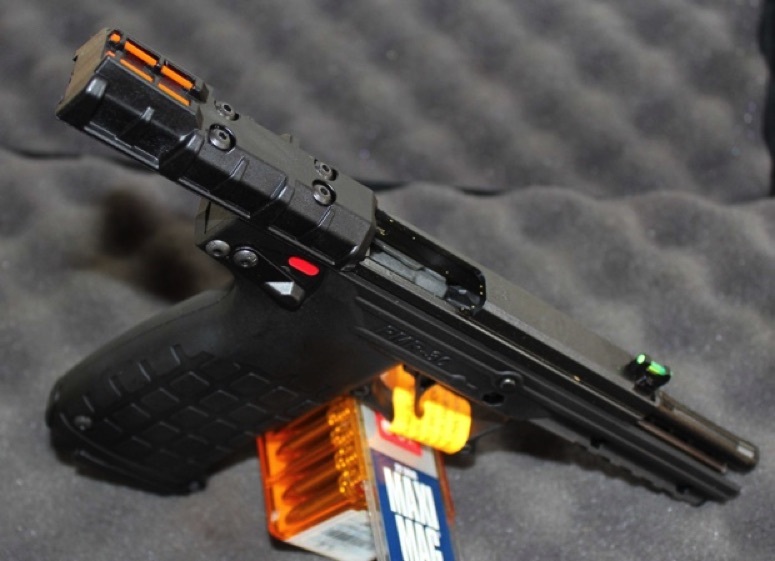 It uses a double stack magazine of a new design that holds 30 rounds and fits completely in the grip of the pistol. The trigger is a crisp single action with an over-travel stop. The manual safety is a thumb activated ambidextrous safety lever (up for SAFE, down for FIRE). 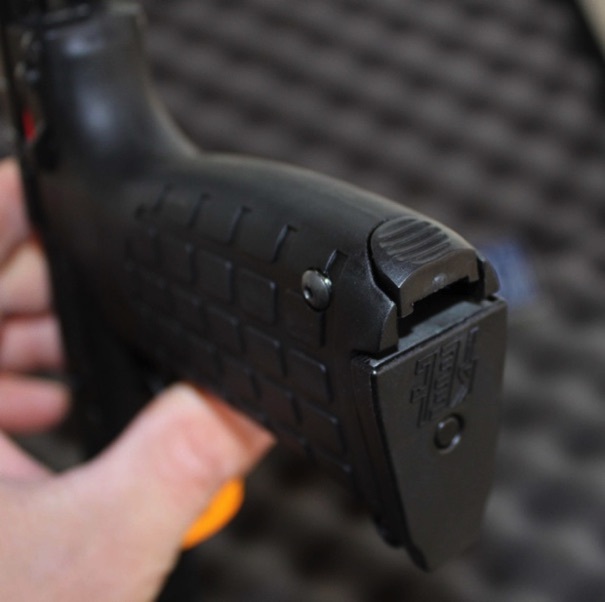 The slide locks back after the last shot and a manual slide lock lever is also provided. The light, crisp trigger pull I estimate at 2 1/2 pound and fiber optic sights make the PMR-30 ideal for target shooting, hunting small game and even self defense. fluted for light weight and effective heat dissipation. PMR30 disassembles for cleaning by removal of a single pin. 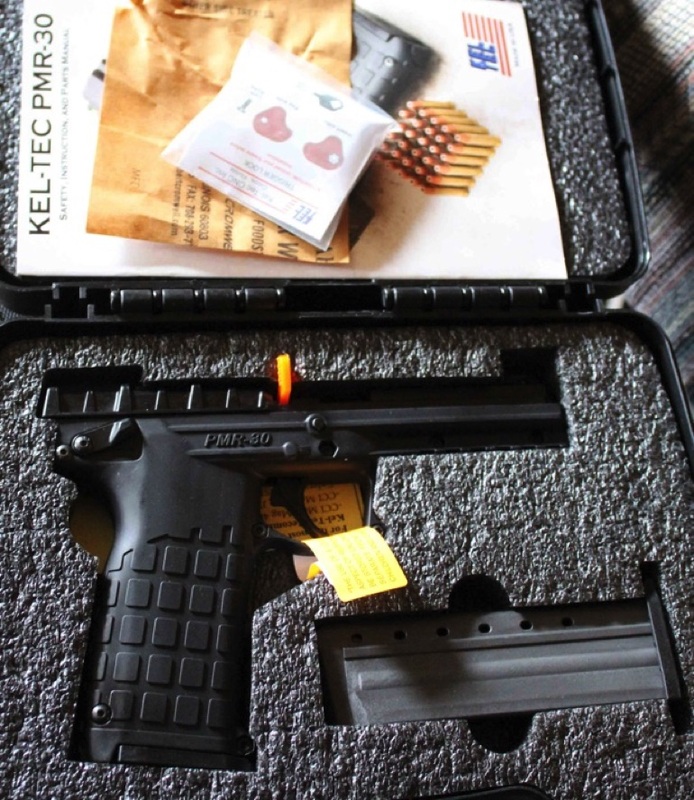 In the box is included a 2nd 30 round magazine, lock and manual. The green front and a orange rear site give a clear site picture and are nice to use. While the plastic fitting of the frame could be better, the PMR-30 feels like a quality gun in your hand. 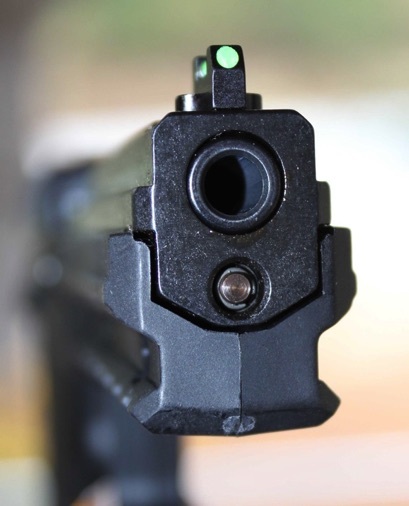 Especially if you are used to 1911 or Glock the grip angle could be a little larger in my opinion. The PMR-30 is not a small hand gun. It’s about the same as a Beretta 90-TWO. However the PMR-30 is much slimmer on the slide and a lot lighter, actually half of the Beretta! Most of all, you are looking at 31 vs. 18 rounds. 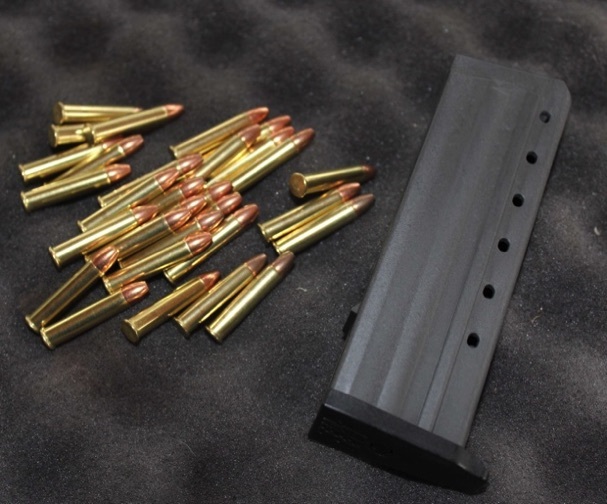 While the 9mm has the better ballistics, the .22WMR is devastating on ballistic vests. The magazine is released by a heal release. It works smooth, but takes two hands. 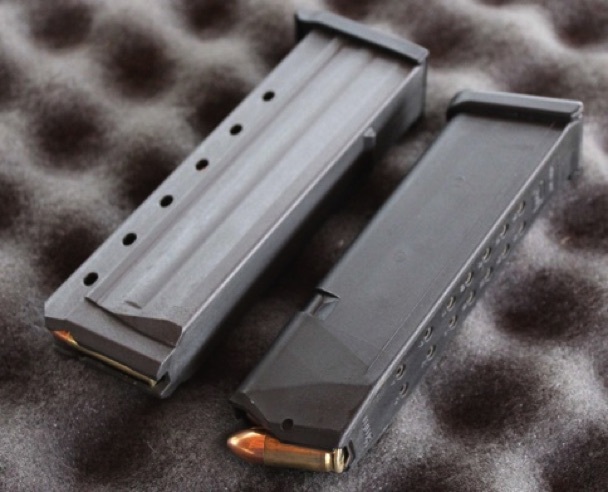 The magazine is built out of Zytel and holds 30 rounds!! It is a quality built magazine. The size is about the same as a Glock 17 magazine. The double stack magazine magazine is loaded “half way down”. 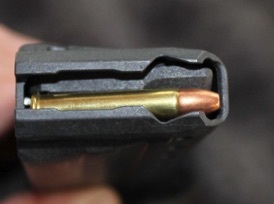 This is how the magazine gets loaded. Just with a push down with the cartridge lined up almost on the end. 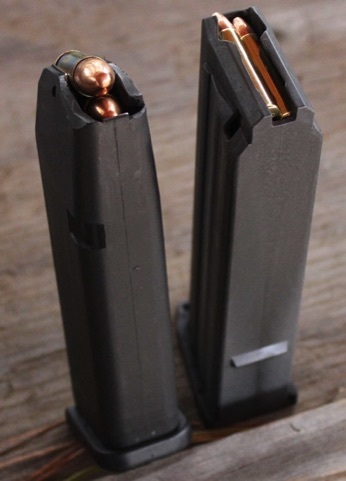 Similar to high cap rifle magazines. 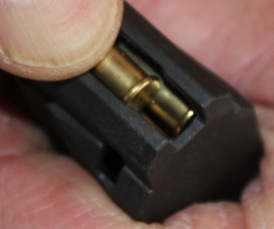 After the magazine was in use for a while, it works smoothly all the way to 30 rounds. Shooting the PMR-30 is a true joy. The trigger pull is about 2 1/2 lbs. It is smooth and surprisingly good for a $400 gun. The accuracy is sufficient. I shot this group at 15 yards. 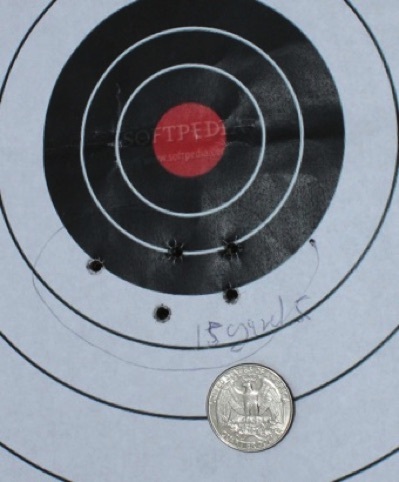 I fired at a 50 yard letter size target and all the rounds were all over the target. After all you are looking at a gun made for recreation and you are probably a better shot then me too! I would do not favor the PMR-30 as a CCW over my 14 round .357 SIG. 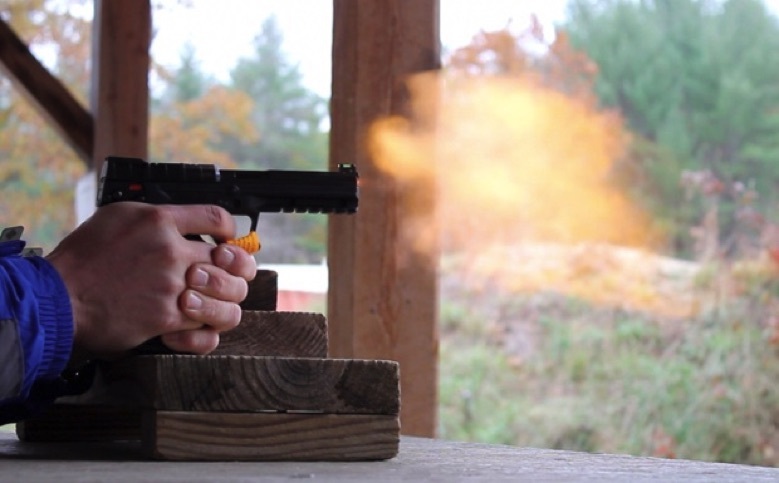 However it is not a bad choice either and it is half the money of an FN 57. 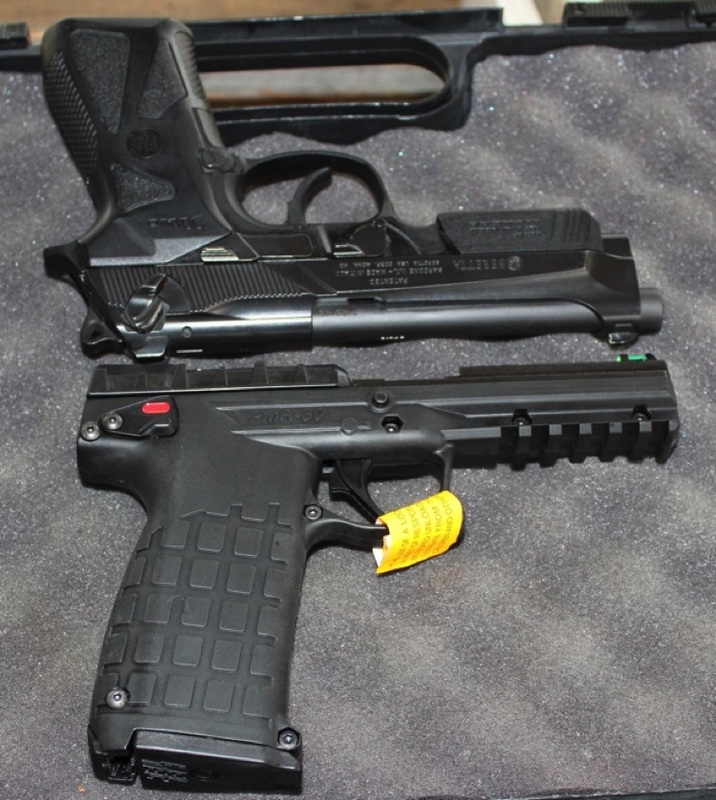 The FN57 is also a much larger firearm. On the other side I can’t come up with any other firearm that size with a 30 round magazine. Also 22WMR is not too expensive and can be found in every store selling ammo. 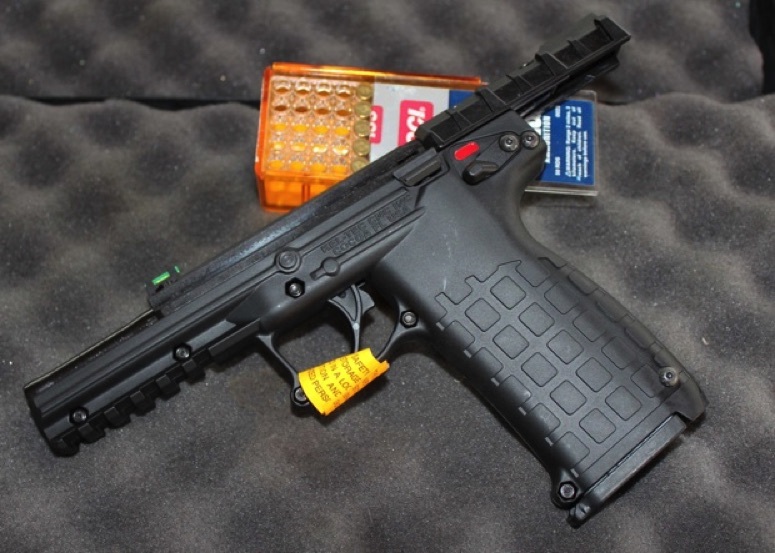 I wished Kel-Tec would build the same gun in .22 LR.